*** Holiday Sale for a Limited Time!!! Original Price: $19.99! 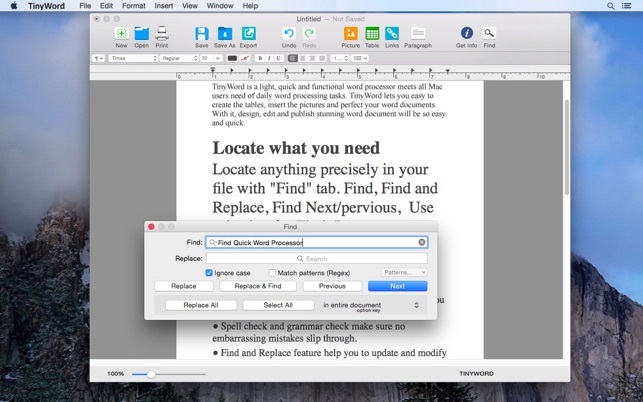 TinyWord is a light and quick word writer for all Mac users, it helps you complete daily word processing tasks in mins. 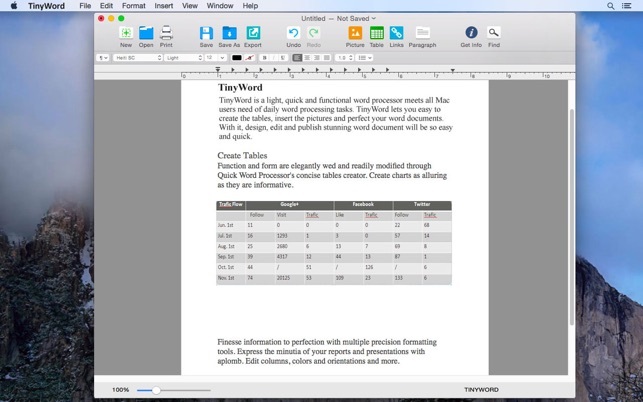 TinyWord lets you quickly to write word document including create tables, insert pictures or perfect your word documents. 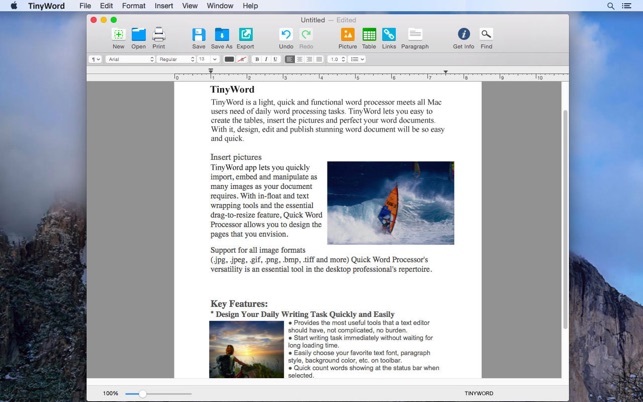 With it, design, edit and publish stunning word document will be so easy and efficient. ● If you like the look and feel of Word but can't afford it, TinyWord will do you fine for most things. ● When you just have a writing project to get done, including the task to add tables, pictures and links. ● You want to start text writing immediately such as a novel or business topic. ● Provides the most useful tools that a text editor should have, not complicated, no burden. ● Start writing task immediately without waiting for long loading time. ● Easily choose your favorite text font, paragraph style, background color, etc. on toolbar. ● Quick count words showing at the status bar when selected. ● Deal with your writing task with basic text-based content and formatting quickly. ● Easily insert pictures, add a hyperlink or the anchored link to any text content and create multi-column document. ● Quickly to add a table, you are allowed to change the cell border and cell background color. ● Inspector panels enable you to adjust fonts style, size, formatting setting like character and line spacing, alignment etc. easily. ● Special characters offered for you to make the word document more expressive and unique. 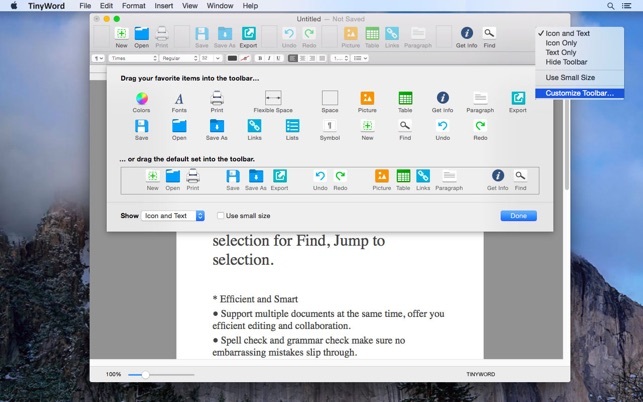 ● Support multiple documents at the same time, offer you efficient editing and collaboration. 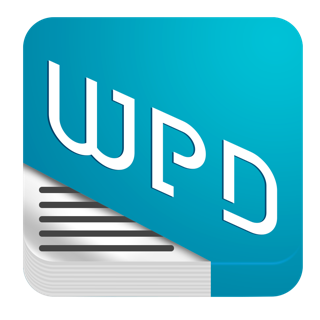 ● Find and Replace feature help you to update and modify the word document in mins without manually scan the text yourself. 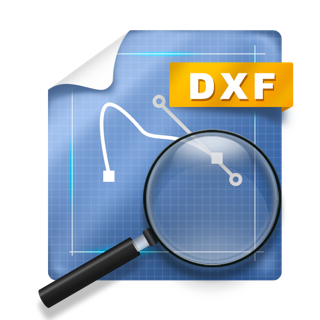 ● Export files to many other formats: .rtfd, .rtf, .html, .webarchive, .odt, .xml. ● Import files: .doc, .docx, .rtf, .rtfd for continuing editing. TinyWord is a lovely, light, simple interface that is geared toward writing, and includes some nice layout features—but it is not buried in Word's gargantuan feature creep. 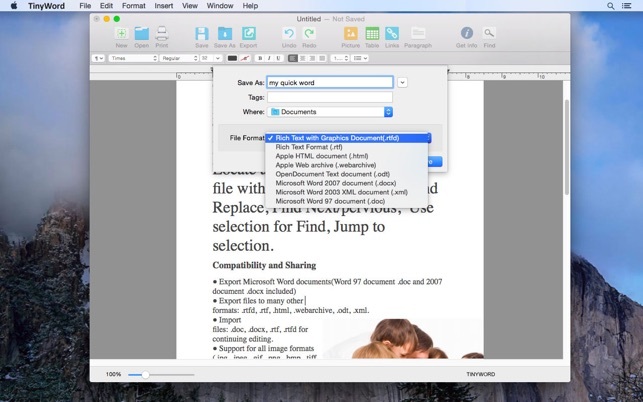 TinyWord loads instantly, provides a logical, immediately useful interface that lets me start working immediately, and still gives me all the fonts and image-handling I need to create full-features documents that translate into PDFs. I'm a novelist, and I also create fiction-writing courses—and TinyWord has become my go-to app for the latter activity. I need to write lessons while working in two locations at different times of the day, on two Macs with different operating systems—one on 10.8 to maintain a ton of legacy software, one on Yosemite. Since Apple decided that Pages documents were not going to be backward-compatible, I've been fighting with cut-and-paste to be able to keep working between the two systems. No more. Both TinyWord and Scrivener documents are cross-compatible, so my need for Pages just went away entirely. TinyWord doesn't include templates or special template files...but you know what? It doesn't need to. I've created a handful of my own in a folder, and just open one up and duplicate it when I start a new lesson. The app did get the fonts right, but not the style: the paragraph spacing and indents. And there seems no way to apply styles to a document: headings, body, etc. I guess there is a use for this app, but it is not for replacing MS Word on a Mac as a means of working with files sent by Windows-using colleagues. Pages is just fine for that. 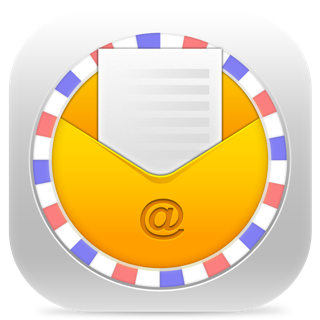 And the free TextEdit seems to do the same things as TinyWord, i.e. it gets the fonts right but does not show the figures, and can save a document as a Word file. I just purchased TinyWord, and then discovered that it is not possible to modify the default document — that is, if I customize the toolbar, and adjust the paragraph settings, I cannot cause the program to always open a “new" document with that toolbar and with those modified paragraph settings. When I contacted them, I got the following response: "Thanks for contacting us. The current version exists the problem of can't saving the customized setting, our RD team will solve this problem in update, and will get back to you as soon as possible, Thanks for your patience in advance.” I guess they thanking me for being another fool who bought their worthless product, but why are they selling a product they know doesn’t work — and more inportantly, why is Apple allowing them to sell it through their website?